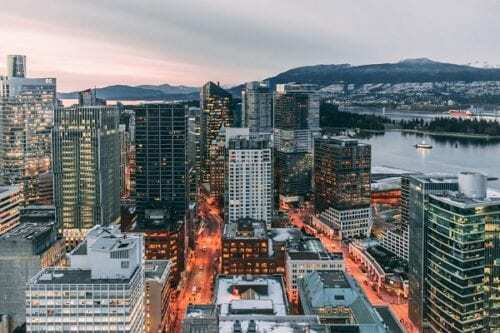 Despite the fact that many Canadians speak English, the country is very different from Europe in many regards and setting up a new family home will take both time and effort. Read on to obtain some of the best advice you can get on moving across the North Atlantic to Canada. How Much Will it Cost to Move to Canada? Assuming that you or someone in your family has landed a job in Canada and that you have the right visas to settle, then much of the cost of moving to the country will come down to how much of your property you bring with you. Whether you are buying a home or moving into some form of furnished accommodation, families cannot move to the other side of the planet without bringing a number of personal possessions with them. One person, or even a couple, might be able to do a transatlantic move with only a few key items packed up in a suitcase or a holdall but this is simply not practical for most Irish families, especially those who are making the move with children to think about. To have an idea of the prices, check the table below. If you are getting ready for moving to Canada, then compare the prices offered by multiple moving companies easily by sending a single quotation request. As a result, you will obtain 6 non-binding quotations in return, all thanks to our easy-to-use request form. How Does a Move to Canada Works? Helpfully, most Irish removals firms will charge a standard fee to load your belongings into a shipping container for you. 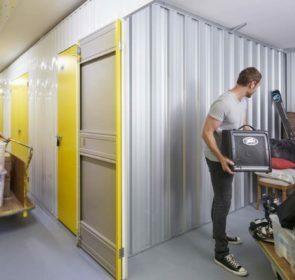 From your point of view, the process is just like moving home in Ireland, only the removals operatives don’t take your possessions to a new house, they take them to a depot where they’re loaded into a shipping container or two. A shipping firm then handles the international removal for you with many containers heading to Halifax on Canada’s west coast via the UK. 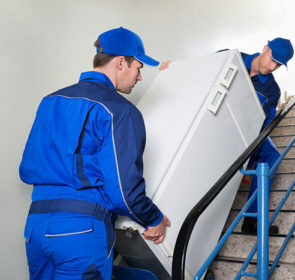 Once there, a Canadian movers picks up the reins and takes your belongings to your new home or, if you don’t have one yet, will arrange for some temporary storage. In addition, you must factor in further pricing for one-off items you might want to transport to Canada, such as pianos or vintage cars. That said, some Irish people coordinate with others making a similar trip and save money by sharing container costs. It may take a little longer to arrange but this approach can certainly be beneficial to your pocket. 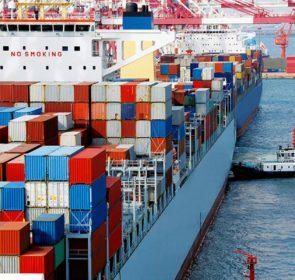 The average cost for hiring an ocean-going container, is outlined below. Is Moving to Canada By Air or Sea Preferable? As you can see from the table above, the costs go up significantly if your plans include air freight. 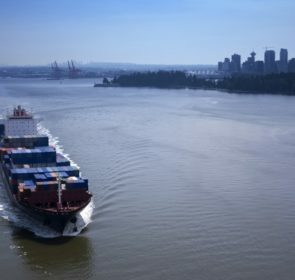 There is a real advantage to air freight because your belongings will touch down in Canada in a much quicker time period than if you send them by sea. However, given that a sea crossing only takes around two weeks, then it has to be said that you don’t get a lot extra for your money by opting for air haulage. Bear in mind that your belongings still have to go through all of the same processes in Canada whether they arrive via an airport or a seaport. In fact, most Irish people don’t embark on moving to Canada on a whim so paying the extra for a speedier service rarely comes into it unless you own some very specific items that will be better served by air transportation. How Should You Prepare Family Belongings for a Transatlantic Journey? The first thing to do is to work out what you plan to take with you and what will stay at home. If you are planning on returning in a few years, then some items could go into temporary storage, of course. However, if you are emigrating permanently, then it is best to sell large or bulky items that you can buy in Canada once you are settled. Things like beds, sofas and dining sets are all usually left behind unless they are antiques or have some sentimental value. You can probably leave items like bicycles or gym equipment behind but, again, not if you feel you cannot do without them. In particular, it is a good idea to sort through children’s toys before you move so that each of your kids gets the chance to decide on what really matters to them. Once you have split your belongings into two groups – what will stay and what will accompany you – you are in a position to start packing up for the lengthy voyage. How Does the Containerisation Works? Most people who are moving to Canada from Ireland haven’t ever prepared their belongings for containerisation before so you are not alone if you are wondering how best to do it. Firstly, sea containers protect your items from spray but that doesn’t mean they don’t get bumped around when being loaded onto vessels. Nor do they stay vertical all the time giving the rolling waves of the mid-Atlantic. As such, you need to protect anything that goes inside one. Wrapping everything up in bubble wrap is a good idea because it saves items from knocking into one another. It also means that your possessions are protected from extreme weather changes. Bear in mind that items in containers on the sea can get both extremely hot and very cold. Anything that fits into a storage crate once it is wrapped up should be placed in one. This means you can protect them further and stack up items so that you make use of all of the space in your container. Some Canadian provinces have different rules on immigration in spite of federal policy so you should make sure you are acquainted with the relevant regulations depending on where you intend moving to. Rental prices for new accommodation vary wildly in Canada depending on whether you want to live in the city centre or a more rural area. A large family home in an in-demand area will cost over CA$2,000 per month but more modest accommodation elsewhere could be half that. Moving to Canada may mean relocating to a French-speaking area so brush up on your language skills. Canada runs a point-based entry system for migrants and the score will depend on your age, professional qualifications and education level. If you have family in Canada already, then this will make a difference to your score, too. One last useful tips for your removal to Canada, is comparing companies quotes to choose the best offer on the market. Fill out our handy form and you’ll receive up to 6 different removals quotations, all competing for your business. The process is quick and easy. It could save you plenty of money in the long run.